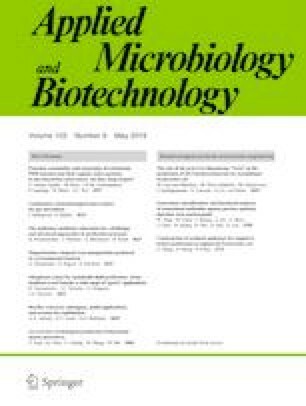 Heat-killed probiotics or microbial autologous components show multiple activities on modulating host immune responses towards tolerance or vice versus aggressiveness. Gram-positive enhancer matrix particles (GEMs), the non-genetically modified particles which composed of the cell wall derived from Lactococcus lactis (L. lactis), were used as a typical microbial molecule to investigate the mechanism of opposite immune responses generated in disparate scenarios. The results of stool 16S rRNA Illumina sequencing suggested that the overwhelming number of mice pre-administered with GEMs showed the expansion of Bacteroidetes but contraction of Verrucomicrobia. Co-administration GEMs and antibiotics could preserve the microbial diversity, even though the abundance of gut microbes was largely depleted by antibiotics. Additionally, dendritic cells (DCs) from mice receiving GEMs rather than DCs that in vitro treated with GEMs induced the expansion of regulatory T cells (Tregs), witnessing the critical role of gut flora alteration. Importantly, this alteration provided protection to alleviate dextran sulfate sodium (DSS)-induced intestinal inflammation. On the other hand, in the context of Helicobacter felis (H. felis) infection, the mice pre-administrated with GEMs exhibited a comparably potent gastric immunity with the elevated expression of IFN-γ, IL-17, and multiple anti-microbial factors, leading to the reduced burden of H. felis. However, tolerance for both DSS-induced intestinal inflammation and immunity against H. felis was depleted in a mice model lacking of transforming growth factor-β1 (TGF-β1) in myeloid cells. These findings suggest that GEMs can modulate host immune responses bidirectionally according to context, and may serve as a supplement for antibiotic treatment. The online version of this article ( https://doi.org/10.1007/s00253-019-09716-z) contains supplementary material, which is available to authorized users. We thank Mr. Lufeng Zheng for his careful revision of this paper. This work was supported by the National Key R&D Program of China (No.2017YFD0400303), the National Natural Science Foundation of China (No. 81502970), and the Priority Academic Program Development (PAPD) of Jiangsu Higher Education Institutions. All animal experimental procedures were performed in accordance with guidelines of the Animal Ethical and Experimental Committee of China Pharmaceutical University.